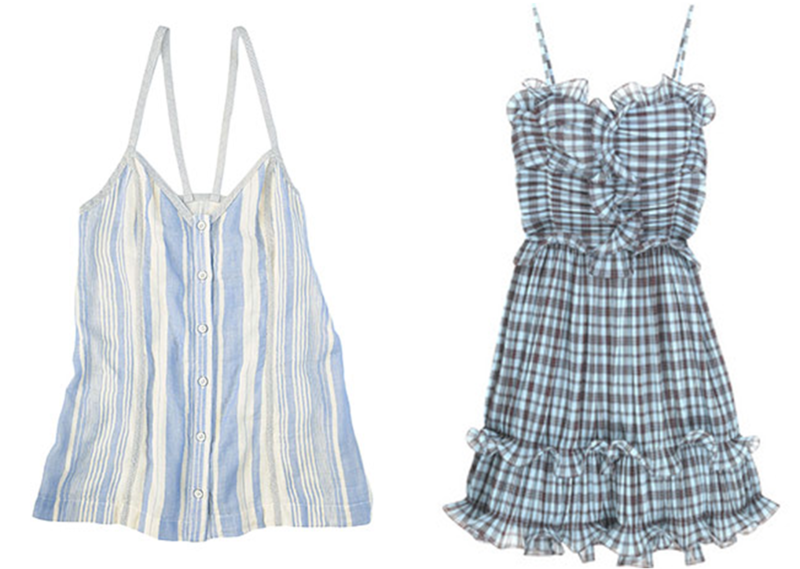 Our new Chief Stylist is a budding astrologer, so we asked her to fashion a series of posts for us on each Zodiac sign. We’ve just entered into Cancer, so here’s Annie Ladino’s style forecast for all of you moon children. 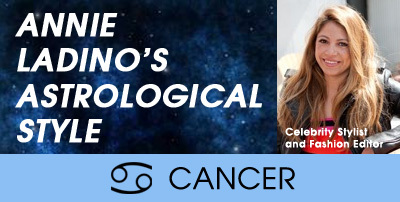 A few fashionable celebs who share the Cancer sign are Selma Blair, Selena Gomez, Liv Tyler, Meryl Streep and Diane Kruger. Famous Cancers in fashion include American model and designer Lauren Bush, Brazilian model Caroline Trentini, designers Bill Blass, Oscar de La Renta, Giorgio Armani, Vera Wang, Elie Saab and French couturier Pierre Cardin. Cancer’s key phrase is “I feel”. Those born under this water sign feel their way through the life. This Marc Jacobs top with its fluidity and pearl accents screams your place in the world.